We wish to thank every participant and spectator who made our August 26, 2018 show such a success. 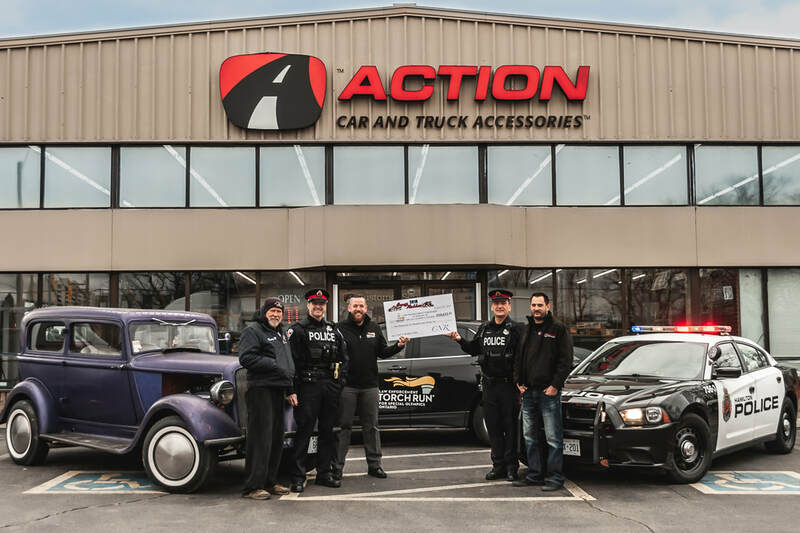 We proudly provided "Law Enforcement Torch Run in Support of the Special Olympics" with a cheque for $10,631.05 - such an amazing goal to reach in 4 short years. We are anxious to see what Sunday August 25, 2019 brings ! Many thanks to everyone who came out to participate with our CHCH Morning Live promo with Tim Bolan. Your thoughts, ideas, concerns help make this the best and largest car show in the Hamilton area. 4) Ontario Rat Rod Association will be participating and hosting a show within our show! 5) "Beat the Heap" we will have 2 cars on site to take your frustration out on and smash them to pieces. All proceeds go to Special Olympics Ontario. Thanks to "Extreme Roadside and Recovery" for this excellent sideshow !!!! NO MORE BENCH RACING HERE !!!! Go the the Special Attraction page for dyno details. 1 to 'Like' and follow or the 2nd page to 'join' and be part of our group. Keep up to speed and follow us on Facebook.